Cruiseco, the leading provider of cruise options in Australia and New Zealand, is providing guests with the opportunity to experience Vietnam and Cambodia, two of the most culturally diverse destinations in the world. For a limited time only, Cruiseco is offering guests a seven night cruise only package deal on board the Cruiseco Adventurer. National Marketing Manager, Amber Wilson, explains that whilst onboard the Cruiseco Adventurer guests will travel to remote locations and experience fascinating onshore excursions. "This Cruiseco Adventurer provides a truly authentic experience and enables guests to immerse themselves in the local community. Guests will have the opportunity to visit the Lovers' Museum in Sa Dec, the Killing Fields in Phnom Penh, enjoy an ox cart ride amongst rice paddies, and meet friendly locals. The journey ensures guests not only have a culturally enriching experiencing, but also have the option to relax and unwind on board our luxurious ship," says Wilson. 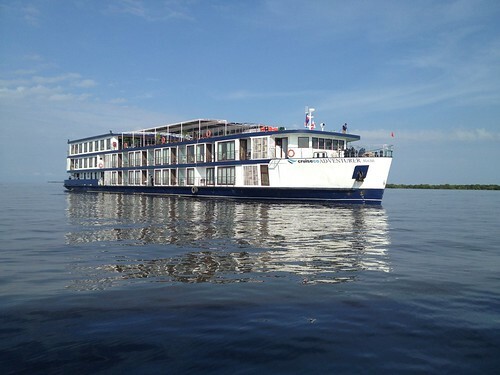 Guests on board the Cruiseco Adventurer can begin their adventure in Siem Reap and cruise down the Mekong River to Saigon or alternatively cruise upstream from Saigon to Siem Reap. Your cruise holiday includes seven nights aboard the luxurious Cruiseco Adventurer; onboard dining and local beer; local spirits and soft drinks from the bars; extensive sightseeing with expert local guides; onboard entertainment including local folk performances; and onboard gratuities plus all transfers and taxes. Book by 01 November 2013, or before these special offers sell out. Twin cabins are available NOW from $1,299 per person, based on twin share. Single cabins are available NOW from $2,599 per person.